It was a foggy evening at the 360 Bridge in Austin, Texas. 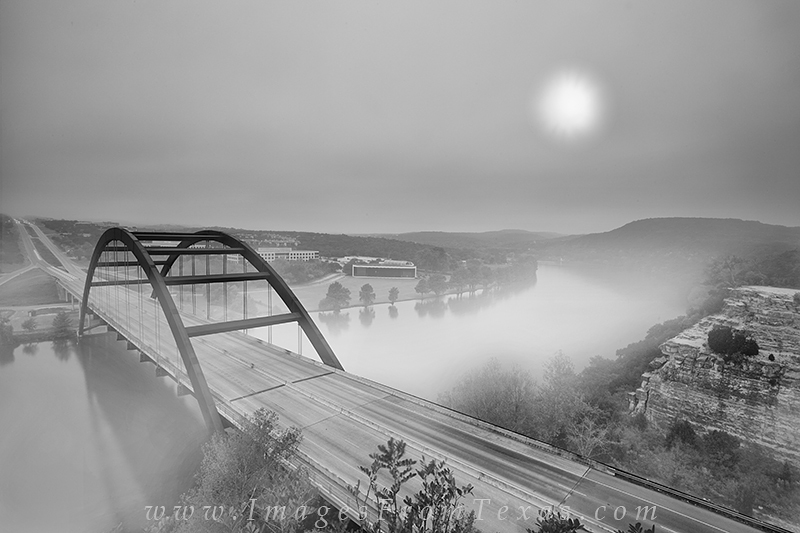 This black and white image shows the glow of the moon through the fog as it sets in the west over the Hill Country. Photo © copyright by Rob Greebon.